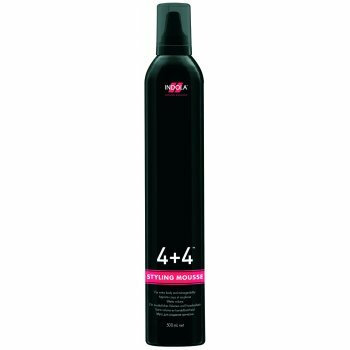 Indola 4+4 Styling Mousse, 500ml, is used to create volume with a natural and flexible finish. Indola hair products are the perfect partner for sustaining a successful salon. Always innovating, Indola also provide extremely high quality through professional grade products, tools and materials. An international salon exclusive brand. Perfect for professional hair salon use.